Disclosure: This post is sponsored by Drizly. 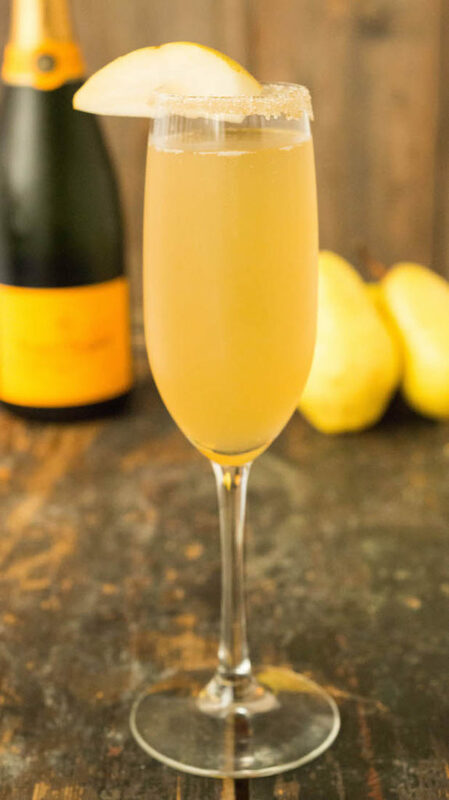 Snag your own bottle of champagne on Drizly to mix up these awesome mimosa recipes yourself! Who is ready for Thanksgiving next week? Probably no one. I know I’m not. It always sneaks up on me. I didn’t even realize that the Friendsgiving I’m going to is only 2 days away! I’m on cocktail duty and want to “wow” them. (Not that I need a recipe, I’m sure I could do that with my charm & good looks alone. Right?) I thought since we’ll all get started cooking together in the morning, maybe we should have mimosas? Yep. That sounds easy and delicious. Conventional mimosa ideas were out. I didn’t want orange juice to have any part in this. I decided to infuse some fall flavor into them using flavors like apple, pear, and grape. I even snuck in a pumpkin ale beermosa for those weirdos who don’t like champagne. How to solve my champagne problem? Enter Drizly. Haven’t heard of them? Well, you’re going to be amazed. These magical people bring you bottles of champagne, liquor, or beer right to your door. You don’t even have to talk to anyone on the phone to order! Just open the app or website, add the bottles you want to your cart, and the order button! Pretty soon a nice man (or lady) will arrive with your booze. Man, we really are alive in the greatest time. Dip the rim of a champagne flute in water, then in vanilla bean sugar. Fill the glass about half full with pear nectar. Fill up the rest with champagne. Dip the rim of a champagne flute in water, then in a cinnamon-sugar mixture. 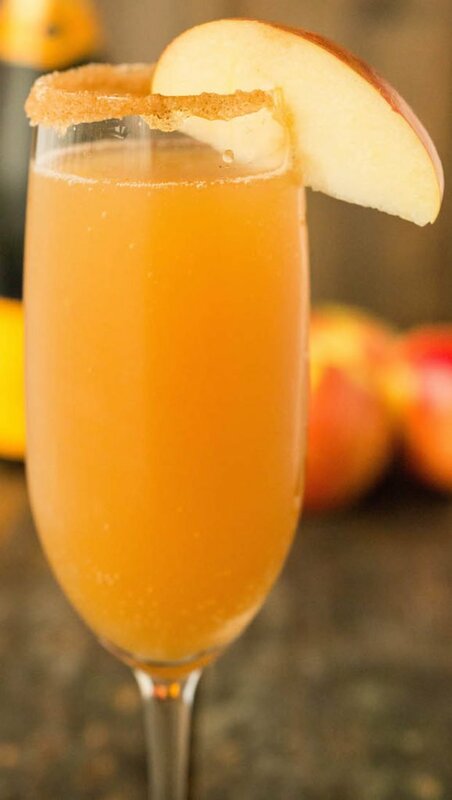 Fill half full with apple cider, then the rest of the way with champagne. Fill a champagne flute half full with white grape juice. Fill up the rest of the way with champagne. Garnish with several fresh cranberries and one sprig of rosemary. Dip the rim of a champagne flute in water, then in pumpkin pie spice. 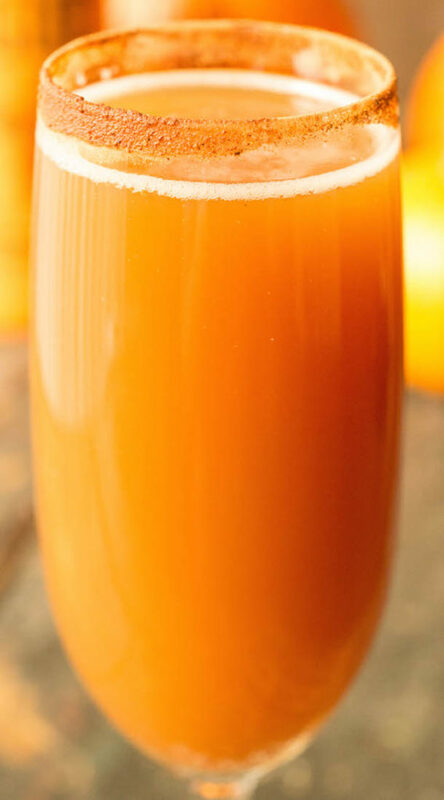 Fill half full with apple cider, then the rest of the way with pumpkin beer. So many options to choose!!!! 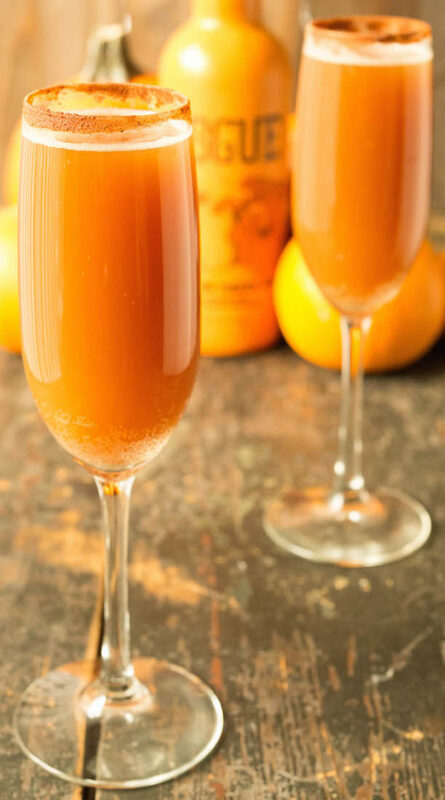 Gotta start making some fall mimosas….. These all look amazing and easy to make! We are hosting Thanksgiving this year for the first time, so these will need to be on the menu. Oh I love this post! Love Love Love! So many options and I love a good drink! Thanks for posting! I have never had a mimosas but your pics make it look very tasty!! Thank you, Michelle! Happy Thanksgiving. 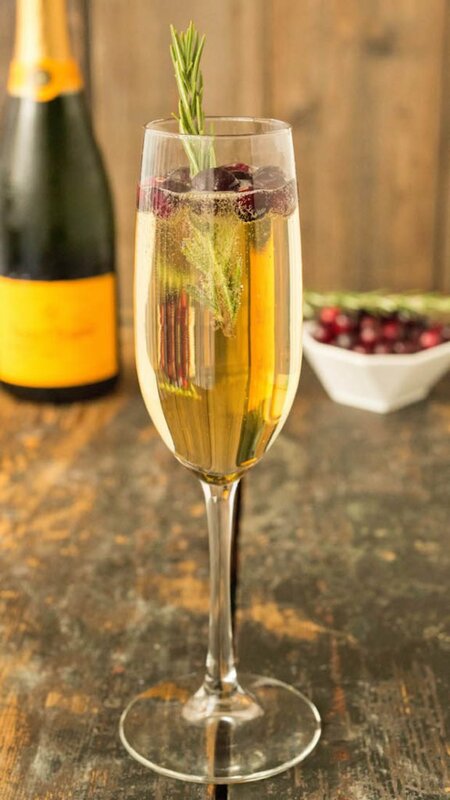 The picture of the white grape and cranberry mimosa has a sprig of rosemary yet the recipe calls for a sprig of thyme……..just wondering………. Thanks for catching that, Vicki! It has been fixed. These all sound so good. 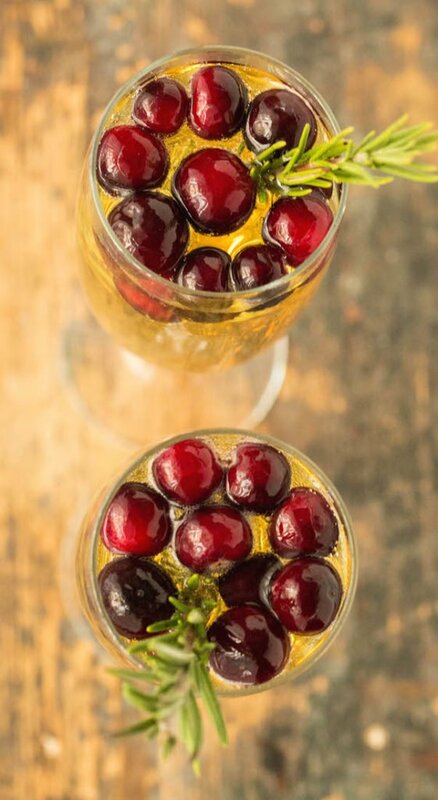 I love the way the white grape and cranberry mimosa looks with those cranberries floating on the top. It definitely looks like a late fall cocktail. I love that there are so many different variations, but I was wondering about the Pumpkin Ale Beermosa. You said that it was for people who don’t like champagne. You were kidding, right? There aren’t really people who don’t like champagne, are there? that vanilla bean version sounds so delicate and refreshing for brunch! Oh these are begging me to have some. I’m off alcohol currently so this is so tempting. Saving this fro when I can indulge – Yum! How am I supposed to choose which one I want to make more?! I’m literally drooling. These look awesome! 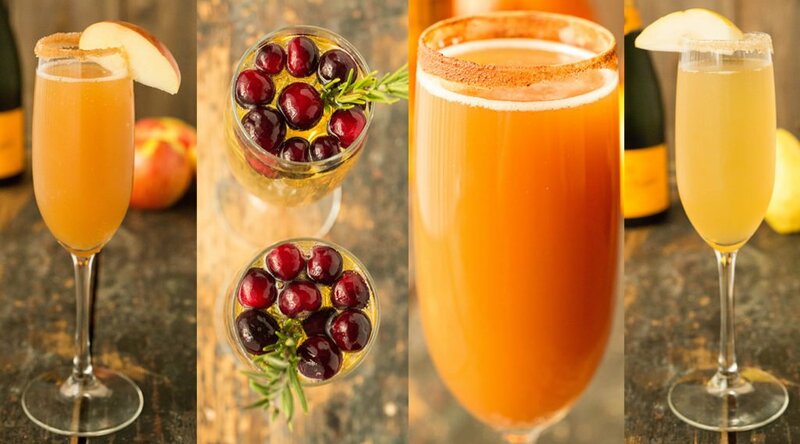 I have never thought to make Fall mimosas and now I can’t wait to try all of them. Thanks for posting! All of these sound SO good – and they all look beautiful! Oh pumpkin beermosa? May I say it one the most delishiously sounding thing I heard in a while! On my to do list now! That vanilla pear version sounds tempting! These all sound great and they’re the perfect brunch starter.